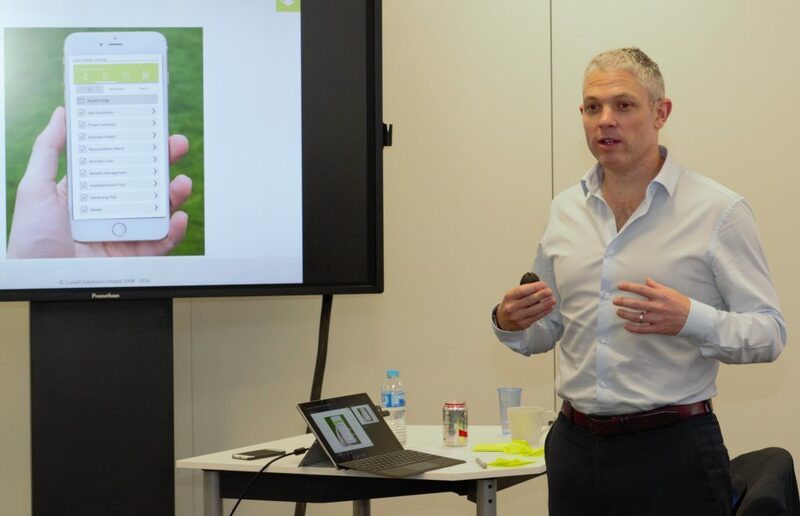 An interview with James Farrow, a Master TetraMap Facilitator at Curium Solutions, a rapidly growing Change consultancy based in Innovation Court in Birmingham, UK. We set out to understand more about their ethos, how they integrate TetraMap and learning by osmosis in one of their innovation pods. How does TetraMap deliver the most value to your business? When we set up Curium as a change business, our whole ethos around change management was centred on simplicity and sustainability. You couldn’t find a more perfect fit than TetraMap to directly support our proposition. Using the principles of neuroscience, other tools like DiSC, Myers Briggs etc, have similar roots when it comes to describing preferences and likely responses to situations. However, when it comes to applying the model to solve any organisational problem, TetraMap is streets ahead and so much more than a behavioural toolkit. change really works, based on the four perspectives of Lead, Deliver, Sustain and Payback. Our culture is our bedrock at Curium. We talk about it every day and we would not have been able to get to where we are, as fast as we have, if we had not embedded TetraMap into our way of thinking. The four lenses are so ingrained in our way of thinking, helping us relate to our clients as well as each other. Even our company values are balanced across the four perspectives: Teamship is everything; Inspire others to come with you; Be commercially aware; Evolve your personal best. Our business has two core practices: Change Delivery and Capability Development. While TetraMap is generally viewed as a learning toolkit, it actually sits across both practices. Our learning approach is to solve real-world problems in a way that is different from the norm. We say the learning has to be results focused, structured, engaging and fun. In many ways, the participants are not consciously realising how much learning is going on, which is how we learn naturally as children but then forget about as we get older and more ‘serious’. We have also embraced digital throughout our organisation (Curium Digital is one of our sub-brands), with a state-of-the-art facilitation suite, two innovation pods and more relaxed breakout areas: all connected through a dozen digital screens, accessible from anywhere in the world, to join in with problem-solving workshops or rapid collaboration breakouts. Again, TetraMap is a core thread through our approach as one of its many strengths is the ability, very quickly, to help everyone embrace the diversity in the group to collaborate more effectively and solve problems rapidly. Since you began with TetraMap has your application of TetraMap evolved? As well as the usual face-to-face delivery, our virtual classroom takes TetraMap into a digital arena, where participants can actively engage within the facilitation suite or from any remote device wherever they are. Our 10 interactive boards make it possible to interact on the same screen for up to 250 delegates (though in reality, we keep it to smaller groups of around 20 to 30). The great thing about the TetraMap model, like nature, is that it continues to evolve. I don’t think the core framework itself needs improvement, but the way of delivering the learning in today’s tech-crazy world is where we see some exciting opportunities, using the Curium Digital Academy as one example. The TetraMap framework provides immense scope to increase the areas where the tool can be applied. 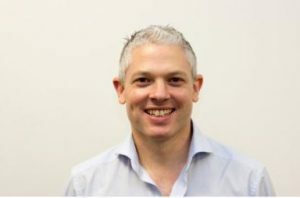 We have already developed several uses of the toolkit in our client base, including achieving more effective balanced conversations in one-to-ones with direct reports; Quality Assurance framework within a large operation; a goal-setting process for one-to-one and group coaching; and a really effective 90-day planning approach when starting a new job. Sometimes when you introduce new material, the delegate spends too long learning the new framework rather than learning how to apply it. By using the TetraMap framework for a multitude of applications, the delegates accelerate the learning of the content and ultimately achieve behaviour change much faster. Your new offices: what’s going to be the biggest benefit of your move? We have grown from 11 to 30 employees in 18 months and continue to work with some of the biggest brands in the UK and internationally. So, the first benefit is room to grow! Secondly, the new space has enabled us to implement state-of-the-art technology and several zones for learning and innovation, which provide our clients with a unique and memorable experience. We see this investment as a real statement of intent. Based in the centre of Birmingham’s Colmore Business District, we want to become the innovation hub for Birmingham, and of course, TetraMap will form a core part of that journey. This year we were finalists in the Best Small Business in Birmingham Award and we have teamed up with the University of Birmingham Curium to front the change management module of their MBA, one of the Top 100 MBA Programmes in the world. The university will be using some of our Curium methodologies and insights; our belief is if you get people working together collaboratively, everyone wins. This inter-dependency and synergy (getting more from the whole than the sum of the parts) are at the heart of what we do, another correlation with the beliefs and foundation of TetraMap.